The floor heating and hardwood flooring has been installed downstairs. Floor heating is in the living/dining, engawa verandah, and bathroom dressing room on the ground floor. This should make the home more comfortable in the colder months. 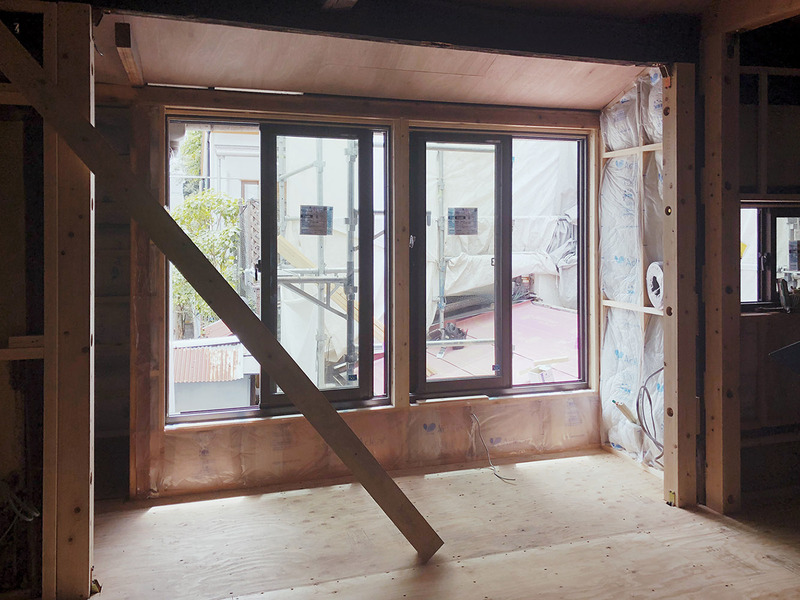 The double-glazed windows have been installed upstairs and downstairs. Again, these will help make the heating and cooling of the house easier. 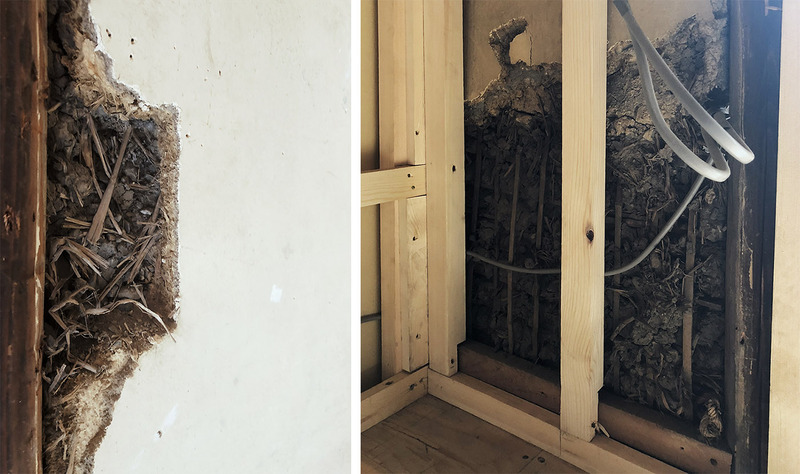 Traditionally the infill walls in old Kyoto machiya houses are ‘tsuchikabe’ – mud walls made with clay, earth, sand and rice straw over a bamboo lattice frame. The aging process can take months. 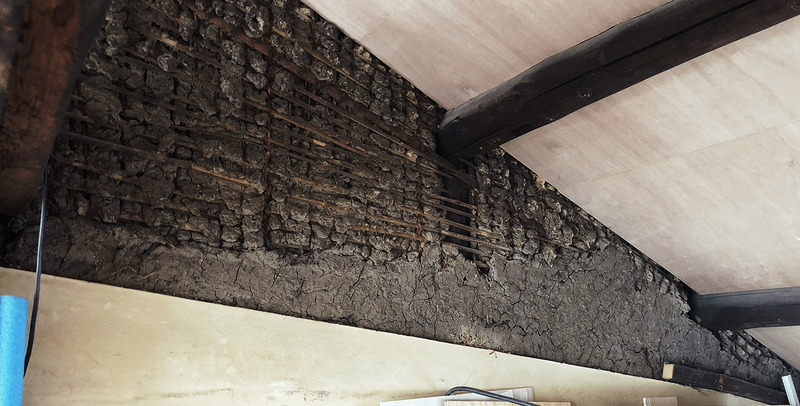 The rough clay walls are usually finished with a smoother layer for the visible sections, with the walls above the ceilings usually left in their rough condition. We are leaving some mud walls exposed to show the original structure, similar to the interior of the Blue Bottle Coffee store in Nanzenji. We would have liked to have kept more of these original walls exposed but we had to cover them up in much needed insulation.